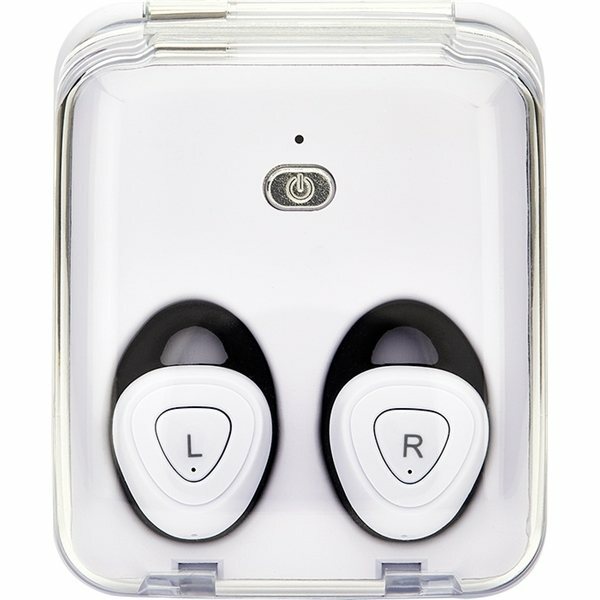 Square white storage case with clear flip-top lid charges stylish Bluetooth® wireless earbuds. Music (stereo), hands-free calls (mono). Approx 1½ hours of playtime. NOTE: Earbud products are not returnable.